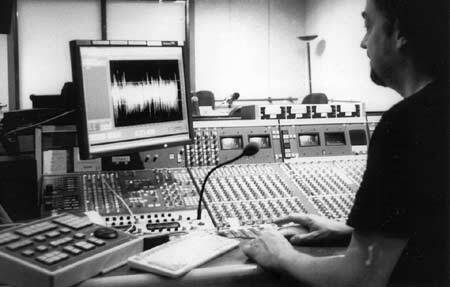 In the 1990s Jonathan joined News and Current Affairs Sound Operations. This had just been formed with SMs from the old Programme Operations Group 1 together with operators from Control Room and OBs. The group now had their own studios in BH and Bridge Street, and took over the operation of Radio Cars and News Traffic. 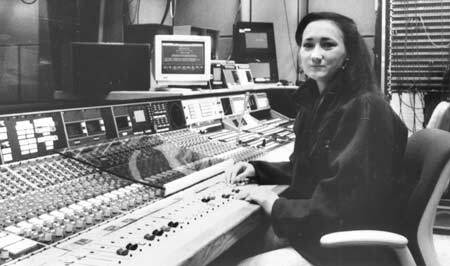 Radio News Operations faced many changes in the 1990s. A new 'rolling' news and sport network was unveiled, and our main recording medium, tape, was replaced with computer technology. GPO plugs and cords and bakerlite! 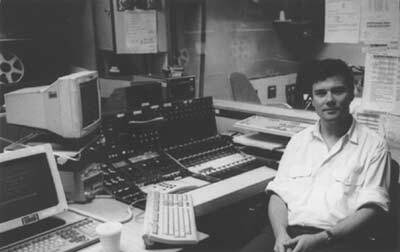 In the 1990s a brand new system came in, designed and project-managed by the BBC's Trevor Smith. The system was based around touch-screen technology. Traffic Managers could select from several 'pages' on their terminals, to select sources, start and stop tape recorders (in H30, Bush Newsroom and the Sound Recording Unit at Television Centre). They could also set up conference calls between the correspondents and the various programme editors and newsroom producers. The engineering side of Traffic also changed. 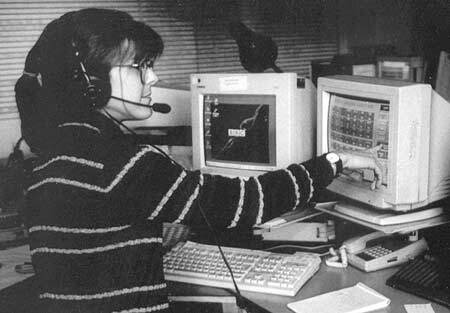 At that time it was called NTOC (News Traffic Operations Centre), but evolved simply to NOC. We still had the landline routers with their associated Telephone Balance Units for cue programme, but slowly ISDN lines came in. By the end of the 90s all the copper-wire inland circuits had been replaced with ISDN lines. The 'hub' of newsgathering, as far as we SMs were concerned, still remained in H30, and we saw through the whole of the first Gulf War (and the so-called 'Scud-FM' - a rolling service on R4 FM) using ¼ inch tape. 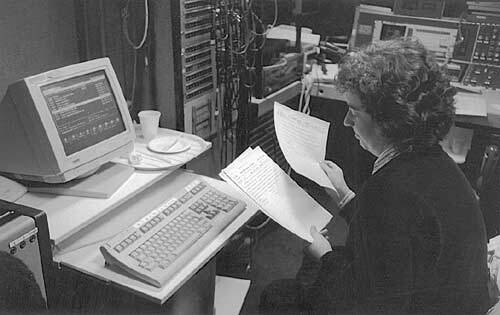 However, SMs were rapidly required to transfer their editing skills from tape to computer. No longer would SMs be the sole craft-skilled editors: with the advent of Dcart newsroom editorial staff were required to acquire skills as 'desk-top' editors. Needless to say, some found the transfer of skills difficult, and tape did live on in a limited form for some time. required to keep an eye on the remaining record time available, then make sweeping decisions on what to delete to free-up space. Indeed 3G was very busy at this time: it did the Radio 2 summaries on the hour, Radio1 (Newsbeat) summaries on the half-hour, and recording and mixing reporters' pieces for bulletins and summaries in between. 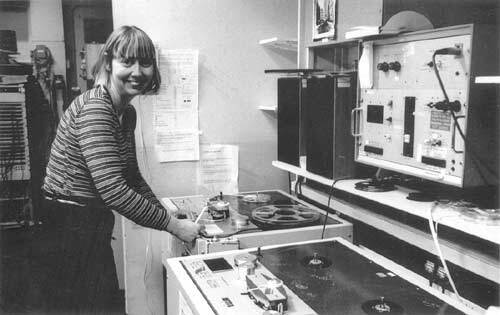 Later, Radio 5 Live summaries would come from 3G, when Radio 2 transmissions were self-operated by the announcer in studio 3F, next door. 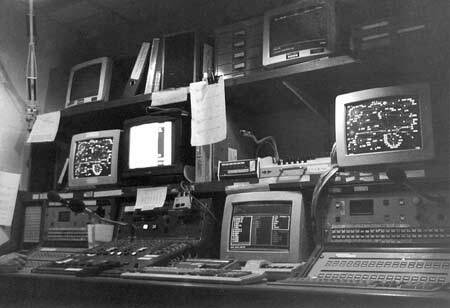 Dcart was installed in all the news studios, with Sony Minidisc as a backup. Studios were provided with two playback channels and these were left plugged to channels on the GP desks, just like a couple of tape machines. News bulletins would be made up into a 'playlist' to allow sequential playback of inserts in order; it could become a bit tricky if the editor wanted to change the order or if the newsreader got out of sequence! 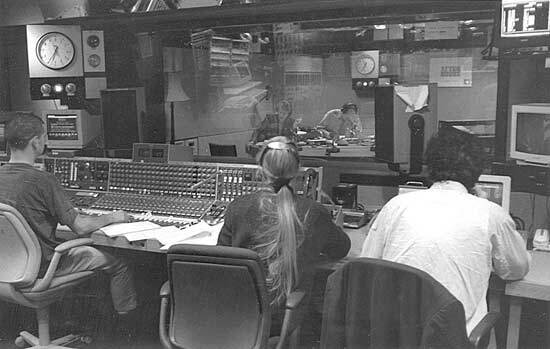 Even the venerable Today programme, seen here in Studio 4A, had to accept the switch to Dcart, and this led to a reduction in manning from 3 to 2 SMs. The department gained a new suite of studios for the new Radio 5 Live service. Studios 1A and 1B, with the SSL mixers, were the main TX studios, and the network flip-flopped between the two throughout the day. R5 is a 'direct to TX' network, with no continuity studio to switch between sources, so SMs became used to switching the network on the Drake router system. By the end of the decade the decision had been made to move the entire news operation (except Radio 1) to TV Centre in west London. New off-the-shelf desks were brought in, and, after some time, sweeping modifications were demanded by SMs. Even Dcart came to the end of its life and was replaced with VCS Dira and BNCS routers. Text and photos ©2006 Jonathan Kempster. Last updated 7th March 2008.